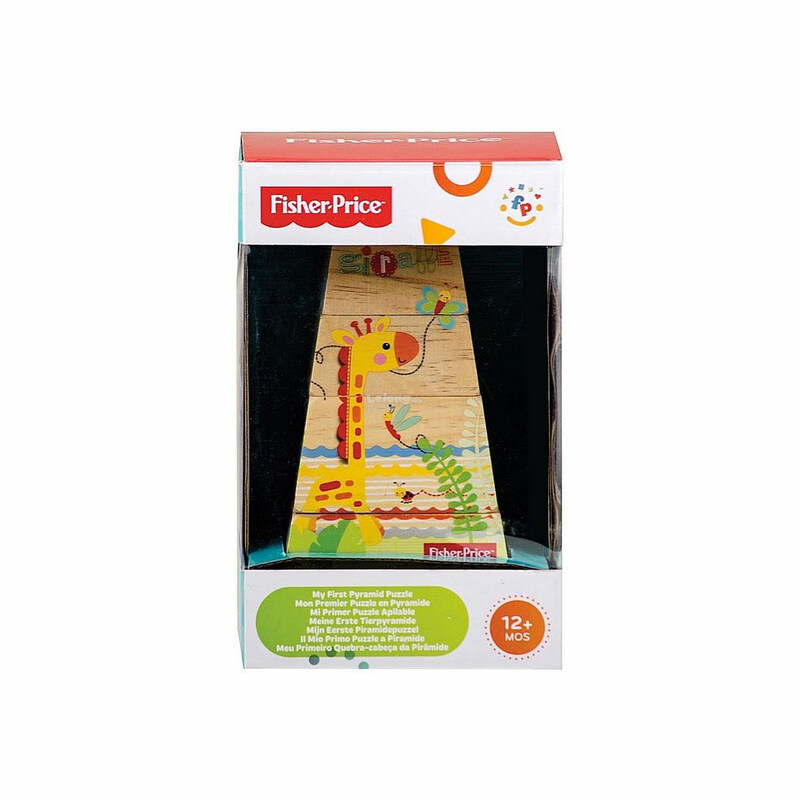 The wooden Animal Stacker by Fisher Price is an educational toy made with five layers of brightly coloured building blocks featuring animals. 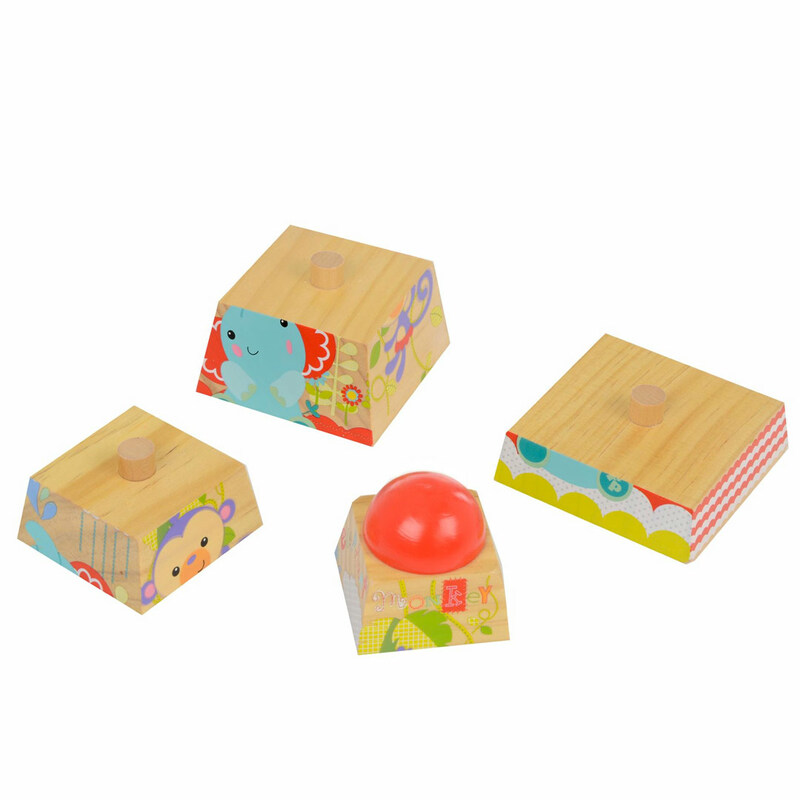 The blocks are shaped from big to small which allows baby to identify different sizes and set patterns printed on the blocks. 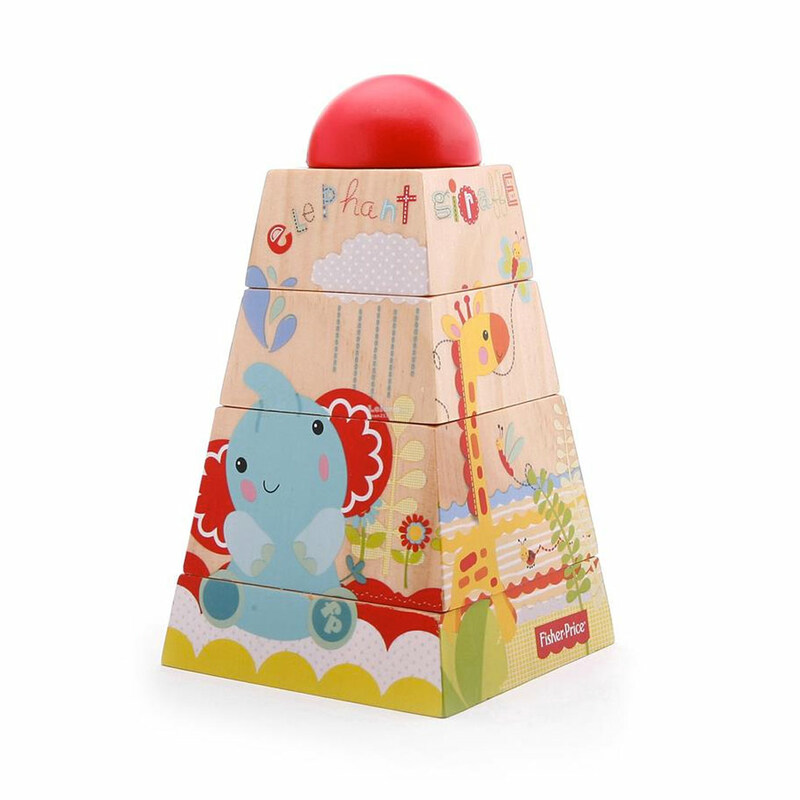 It helps your child with logical thinking abilities, fine motor skills, hand-eye coordination as well as logical combination. 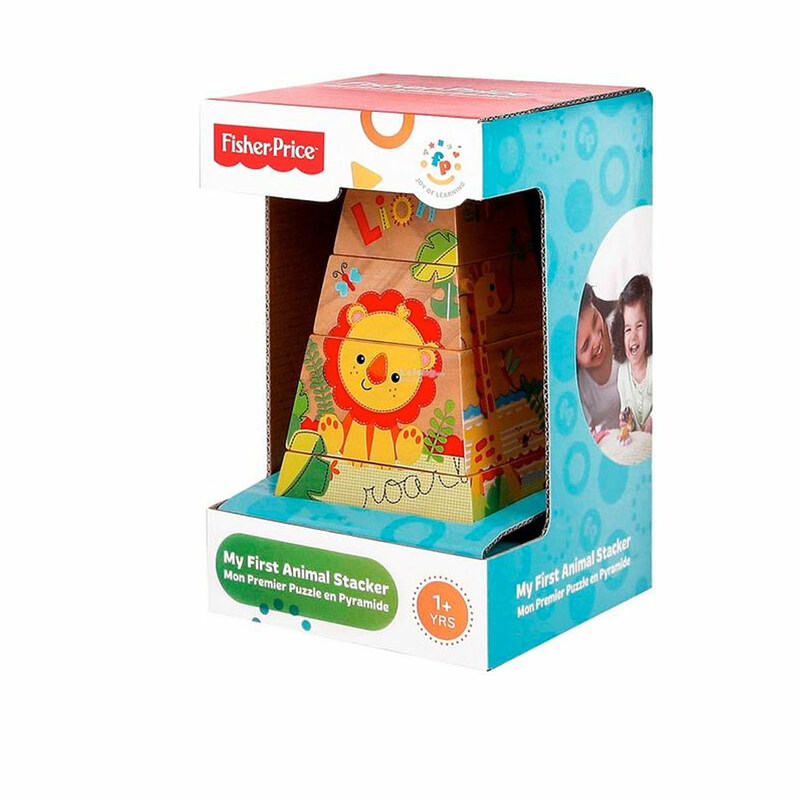 Fisher Price began making toys that “appeal to the imagination, that do something new and surprising and funny”. They’ve always kept the original vision of the founders in mind, remembering what started it all: a smile. Today, their goals continue to be enriching the lives of young families, and bringing joy to generations.